We are the clear leaders in Hybrid sales and production in Europe. Toyota Hybrids making up more than 70 per cent of all the alternative powertrain vehicles sold on the continent – more than all the other hybrids, plug-in hybrids and electric vehicles combined. In fact, our success in Europe’s mainstream segments is shown by our sales in 2016. Hybrids account for 60 per cent of Auris, 42 per cent of Yaris and 41 per cent of RAV4 sales. Almost 80 per cent of orders for our new Toyota C-HR are hybrid too! With the industry’s largest hybrid line-up of 15 Toyota and Lexus models we grew hybrid sales almost by half in 2016. 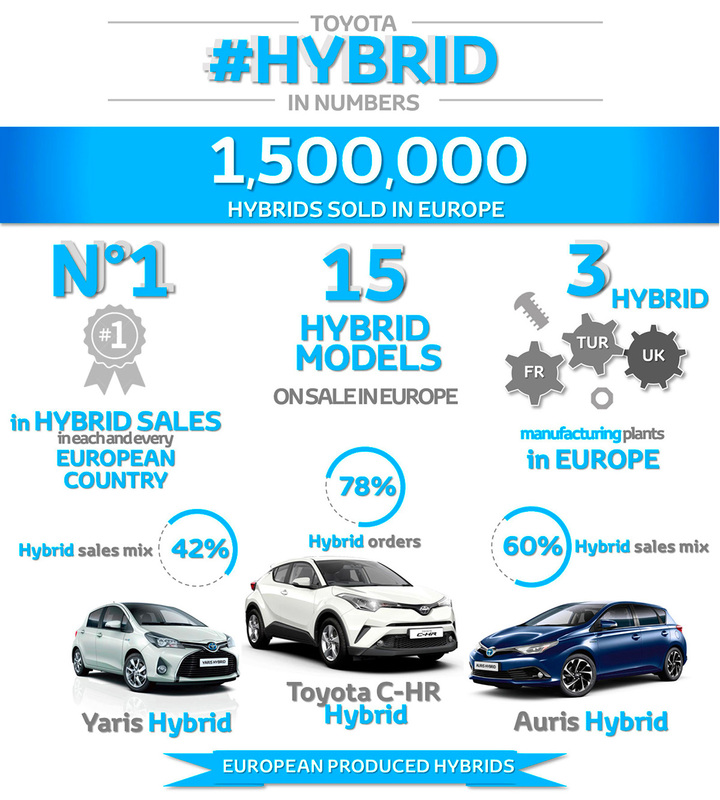 Today, hybrids represent 1-in-3 of all our European sales in 2016. 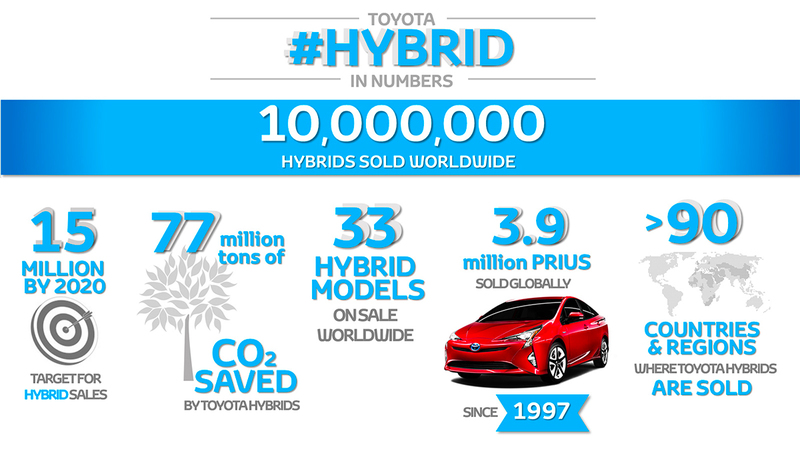 We are well on track to achieve our goal of 50% hybrid sales in Europe by 2020. We commit to develop and deliver ever-better products and services in Europe under the philosophy of Toyota’s Global Vision. Hybrids will continue to play a vital role in reducing vehicles’ environmental impact. Toyota Hybrids have contributed to a reduction of 77 million tonnes of CO2 and approximately 29 million kilolitres of fuel globally. With plans to launch a number of new Hybrid vehicles over the coming years, our innovative models will continue to bring smiles to the faces of customers the world over. Toyota’s fight for Le Mans victory In a personal testimony, Toyota president, Akio Toyoda, reflects on the heartbreak of TOYOTA GAZOO Racing’s entry in the 2016 Le Mans 24 Hours race. A memory our president vows to lay to rest in 2017. Toyota Olympic and Paralympic Partnership | Toyota Europe We’re incredibly proud to announce our partnership with the International Olympic Committee and the International Paralympic Committee until 2024. Toyota C-HR in business The Toyota C-HR’s combination of looks and dynamics makes a welcome addition to our range, and ensures there’s a Toyota for everyone in your company. Paris Motor Show 2016 As the automotive world descends on the City of Light, with its great history of culture and innovation, there’s no better place than the Paris Motor Show for Toyota to showcase its vision for the future of driving.